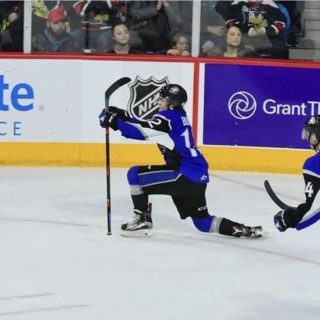 SYDNEY, NS – Brendan Sibley scored his first QMJHL goal and Cole Reginato found the net in his last career game as the Saint John Sea Dogs ended the 2017-18 season with an 8-3 loss to the Cape Breton Screaming Eagles, Saturday at Centre 200. Phelix Martineau buried a hat trick and added an assist to lead the Cape Breton (32-28-6-2) offence. Former Sea Dogs Isiah Campbell and Ian Smallwood also scored, as did Egor Sokolov, Brooklyn Kalmikov and Ryan Francis. Robbie Burt had the other Saint John (14-43-9-2) goal. 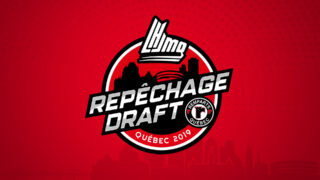 The loss means the Sea Dogs will finish 18th in the QMJHL, giving them the first overall selection in this summer’s 2018 CHL Import Draft. 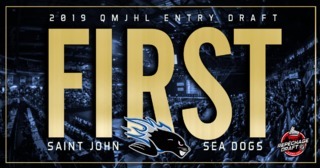 Saint John will also have the best odds (43%) of winning the top pick in the 2018 QMJHL Entry Draft in a draft lottery to be held next month. Along with Reginato, defencemen Bailey Webster and Brendan O’Reilly also competed in their final major junior games. The Sea Dogs opened the scoring nearly five minutes into the game. Brendan Sibley settled the puck in the left circle and fed a pass into the slot to Burt. The 18-year-old whistled a heavy wrist shot past the glove of goalie Kevin Mandolese. Cape Breton tied the game four minutes later when Martineau took a cross-ice pass on the right side of the slot and whipped a wrister past a sprawling Tommy Da Silva in the Saint John goal. Fifty-six seconds later, with the Screaming Eagles on the power play, Kalmikov found Sokolov skating in front of the crease. The Russian rookie stepped to the right side of the blue ice and slid the puck past Da Silva’s left leg. 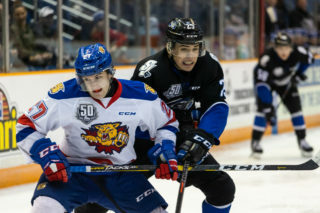 The home side thought it had extended its lead to 3-1 with under nine minutes left in the period when Mathias Laferriere finished off a 2-on-1 feed with a wrister from the left wing that got inside the right post, but the play was reviewed and ruled to be offside at the Saint John blueline when the puck entered the zone. Martineau gave his team a two-goal lead two minutes into the second, taking a pass on the right side of the slot and ripping a wrist shot inside the left post. The Screaming Eagles’ overager completed the hat trick four minutes later with another power play strike, this time with a wrist shot from the right point that got past Da Silva’s blocker. Campbell made it a 5-1 game with a shorthanded goal two minutes after that, racing in on a breakaway and using a deke to beat Da Silva with a shot through his legs. Saint John got one goal back with more than seven minutes remaining in the second period. Aiden MacIntosh rushed the puck down the right wing and fed a pass from the circle to the front of the goal. Sibley had joined the rush and chipped his first QMJHL goal past the right pad of Mandolese. Smallwood restored Cape Breton’s four-goal lead with two minutes left in the period, sending a wrist shot from the middle of the point that beat a screened Da Silva to make it 6-2. Mandolese left the game after the second period. He was replaced by Ryan Miller, who made his QMJHL debut. 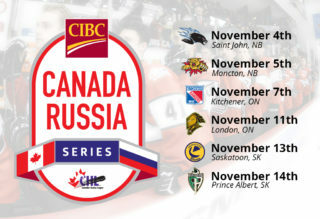 Cape Breton added to its lead with eight minutes left when a clean faceoff win in the left circle went to Kalmikov. The rookie winger rifled a wrist shot past Da Silva’s glove. Francis was credited with a power play goal with under ninety seconds remaining, as he drove to the net without the puck and had a rebound deflect off of him and into the goal. Reginato, a Cape Breton-native and former Screaming Eagle, wrapped up the scoring with 41 seconds left with the final goal of his career. The overager was denied as he tried to stuff the puck past Miller on the right side of the net. He then grabbed the rebound and fired a shot from the right side of the crease into the top of the goal, over Miller’s left arm. Mandolese earned the win with seven stops through forty minutes. Miller added seven saves in the third period. Da Silva took the loss with 32 stops. 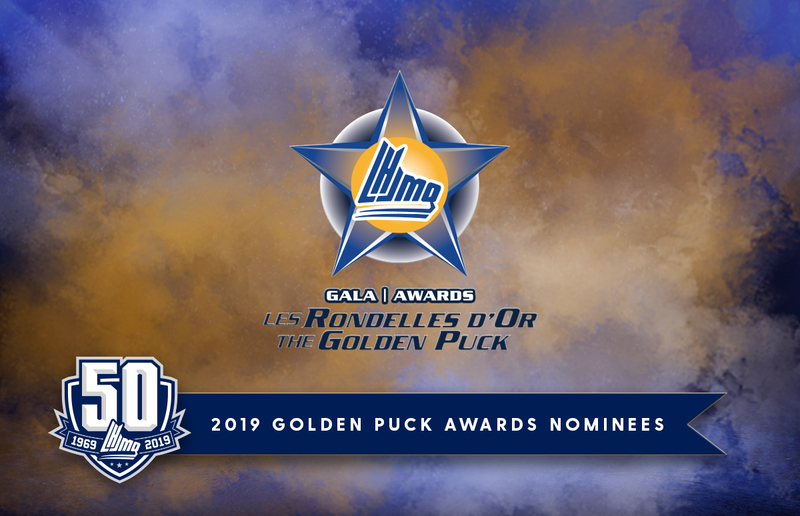 Martineau and Jordan Ty Fournier, the two 20-year-old players dressed for the Screaming Eagles, were named first and second star, respectively. Reginato snared third star in front of a hometown crowd of 2,887. Follow the latest Sea Dogs news all summer long on Twitter, Facebook and sjseadogs.com!